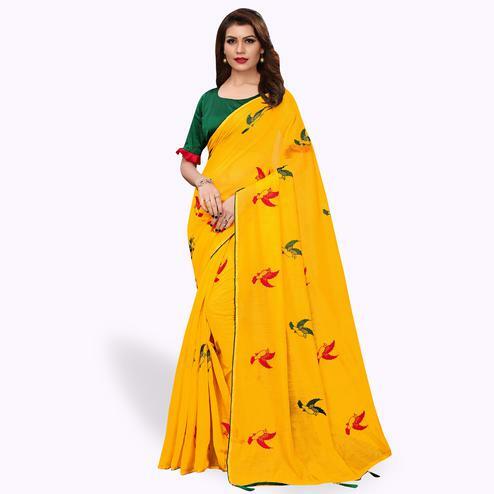 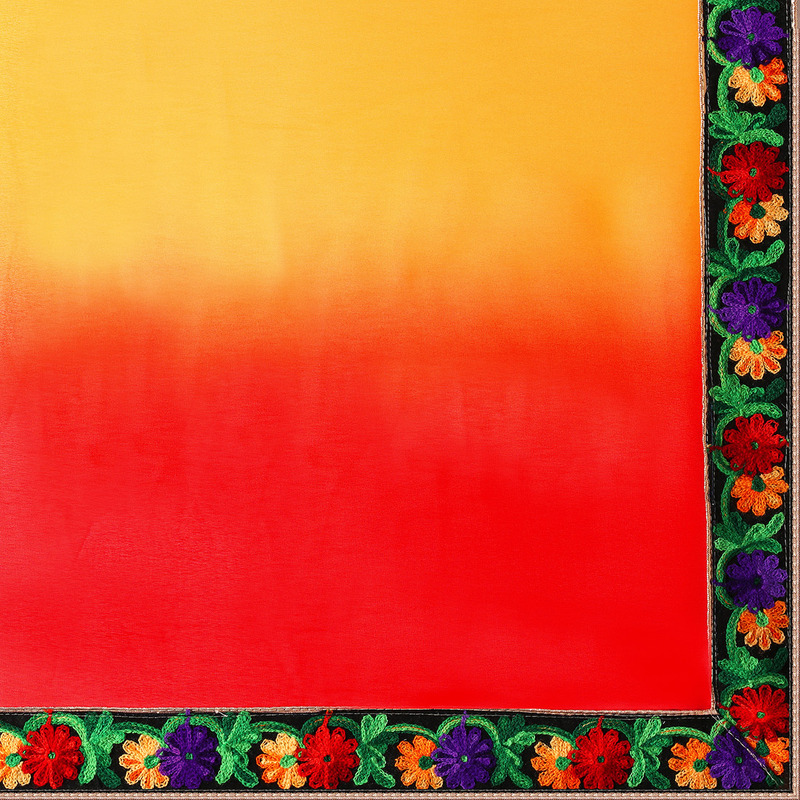 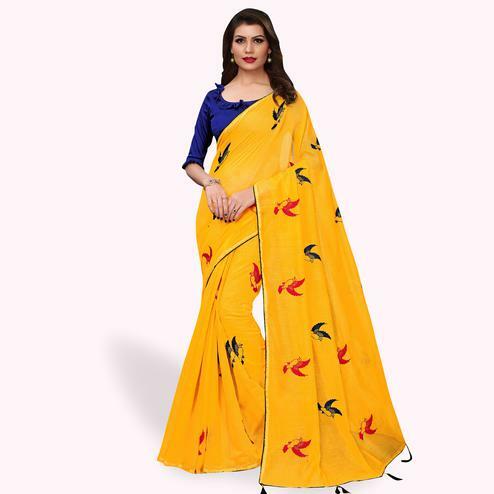 This shaded yellow - red saree is designed on georgette fabric & further enriched with colorful floral design embroidered work lace border as shown. 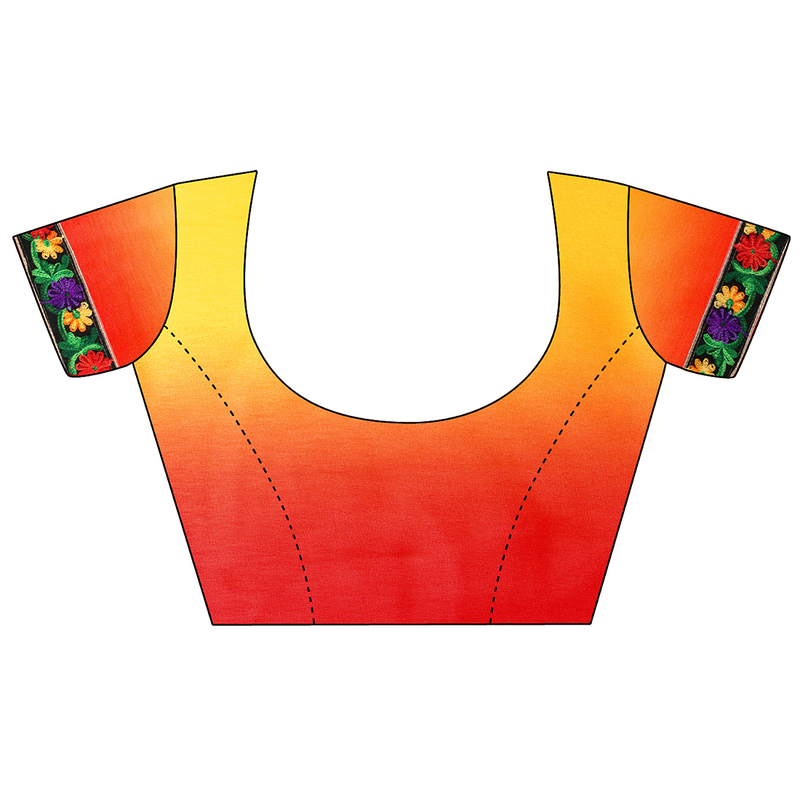 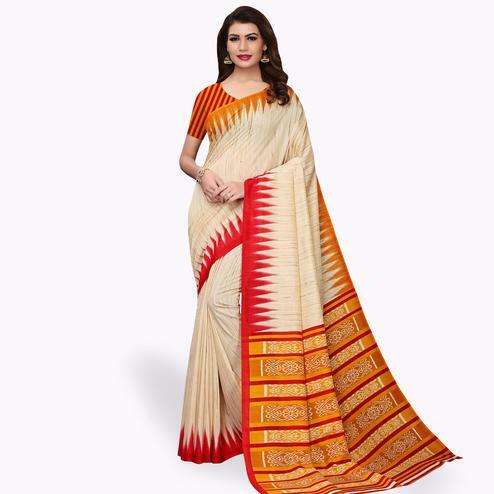 Saree comes along unstitched blouse piece having matching lace. 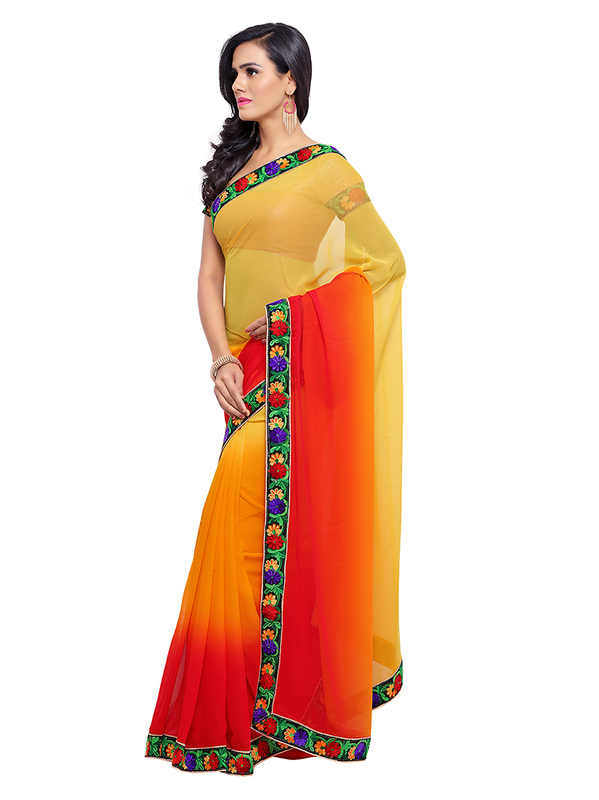 It's a perfect saree to wear for parties & functions. 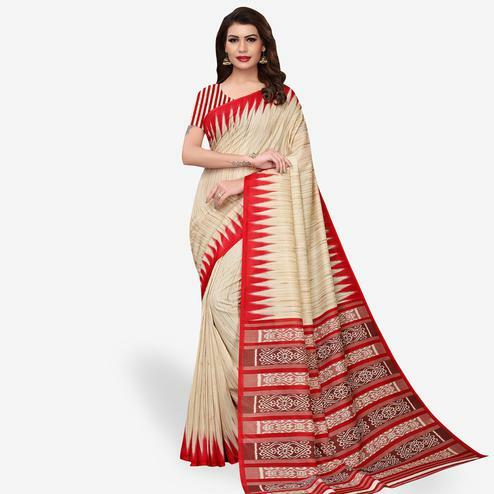 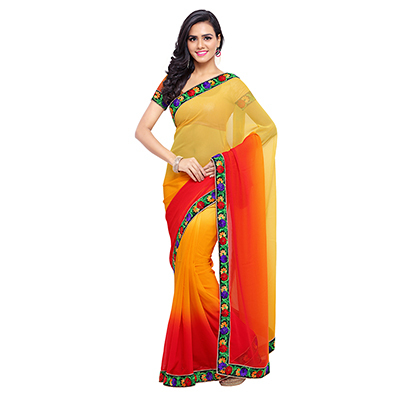 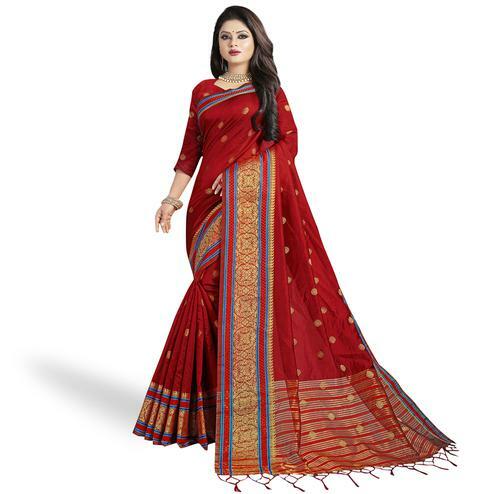 Grab this saree before it goes out of stock.